For those who have done preparations for a long time, the time has come to bear the fruit of it. 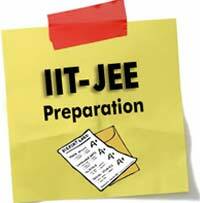 IIT JEE advance exam is just one month ahead of us and all the aspirants must be working hard these days. This is the most important time of year for the IIT aspirants when they are giving the last touch to their preparations. Some students are strengthening their weak topics while others are just refreshing what they have studied in the past months. As it is high time for revision and correcting your mistakes, we have prepared a list of things which an aspirant should keep in his/her mind in the last month and plan his/her studies accordingly. 1. Practice question papers in the IIT JEE advance format: – Sit for 3 hours in a silent place and solve the paper as if you are giving IIT JEE advance paper. 2. Paper analysis and mistake correction: – Do a thorough analysis of test paper and find out attempt, correct, wrong, silly mistakes, conceptual mistakes. Try to minimize the silly mistakes and go through the concepts which you knew but still were not able to implement in problems & solve the problems correctly. 3. Go through your strong topics at least once so that you can ensure that you haven’t missed or forgotten any concept or it’s application. 4. If you have too many topics left in which you are weak then focus on the most important and easy topics for IIT. It is suggested that you focus on topics where you have slight knowledge then topics in which you are completely novice. 5. Do revise organic and inorganic- you may be a master of these subjects but they do not take much time to get out of your head. So, do a thorough revision of these two subjects in the last month. You might have a look at NCERT for inorganic chemistry. 6. Do not leave topics like unit and dimension, error, trigonometry, logarithm and other basic topics, as sometimes very easy questions are asked out of these topics and you will regret if you miss them.